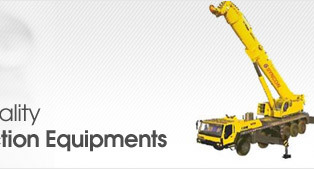 We are undisputed leaders in the field of offering a wide range of lifting equipment that finds application in the material handling processes employed in different industries. These are precision designed so as to provide customers complete range of advanced solutions regardless of their lifting or material handling requirements. 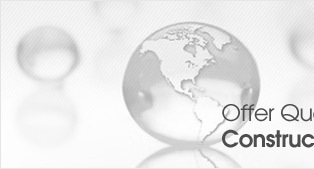 Here, our expertise lies in offering moving systems that increase value and effectiveness of the business. With products known for delivering superior process efficiency, performance and offering easy maintenance, the range includes All Terrain Truck Cranes, Crawler Cranes, Rotary Drilling Rigs / Piling Rigs and Crawler Mounted Paywelder. 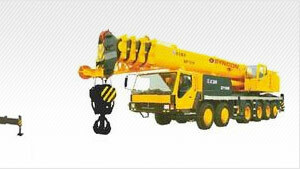 We offer customers optimum functionality based range of all terrain truck cranes that feature superior load capacity. 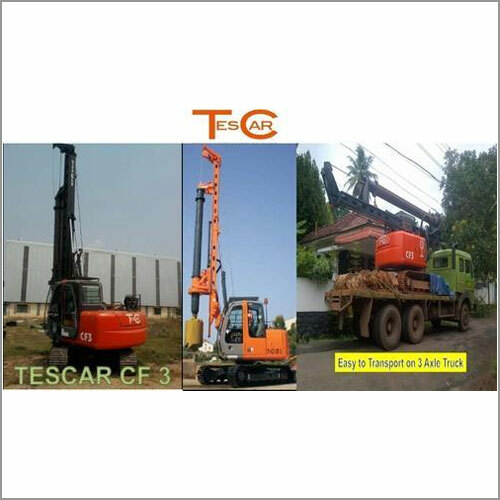 These truck cranes feature special suspension and have many working possibilities while maintaining safe working conditions. These truck cranes also have fast highway speeds, quick set-up for hauling operations, long reach, high capacity booms and others that make these the best handling systems available in its category. We are a leading name in meeting the demands of Crawler cranes that are mounted on undercarriage with set of tracks called crawlers providing desired stability and mobility. These cranes are made available by us in different lifting capacities from 55 to 650 tons and feature flexible attachments that allow them to quickly handle individual or bulk goods. 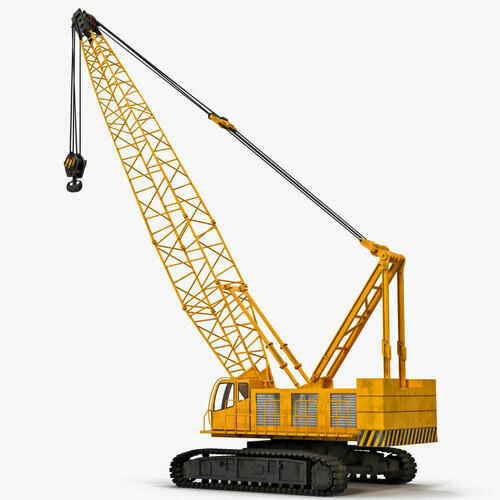 The lower operating costs of these cranes are also a significant advantage in these machines. One of the prominent areas where these are used in includes loading and unloading ships. 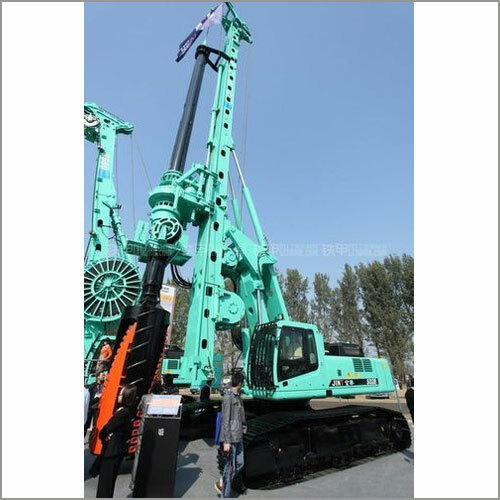 We at JINTAI are a leading name in meeting the demands of Rotary Piling Rigs. These precision designed and optimum functionality drilling rigs are designed for achieving optimized drilling applications and allow easy handling and execution of all common drilling processes including drilling with partial/full displacement tools, continuous flight auger drilling, double rotary drilling, soil mixing and others. TesCar SRL, Italy was established in 1976 by Mr.Elio Tonti together with his son, and current President of the company, Mr.Sauro Tonti. Its origins are anyway indissolubly linked to another historic company in the drilling field, TRIVELSONDA, which had been the forefather of the main current industries producers of drilling machines in the world, and whose charter member since the 60's was Mr.Elio Tonti. From the big experience matured during the first decade of TRIVELSONDA, Elio Tonti decided to found, together with his son Sauro, a brand new company which has been called TES CAR, in order to deepen and improve the new ideas and projects which had given birth to the current special drilling rigs "CF Series" and "TES Series", now famous and approved all around the world. 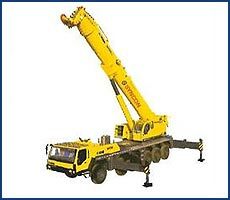 Crawler Mounted Paywelders offered by us are self-propelled cranes that feature superior boasting capacities of 3 tons. 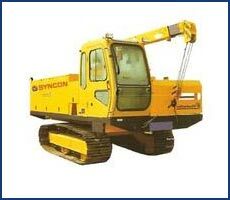 These cranes find wide application in different hoisting and grabbing applications and are also easy to move. Further, some of the other salient features these are recognized for in the markets include light in weight, hydraulic operations and others. These are best suited for heavy equipment lifting, construction applications and other related work areas.